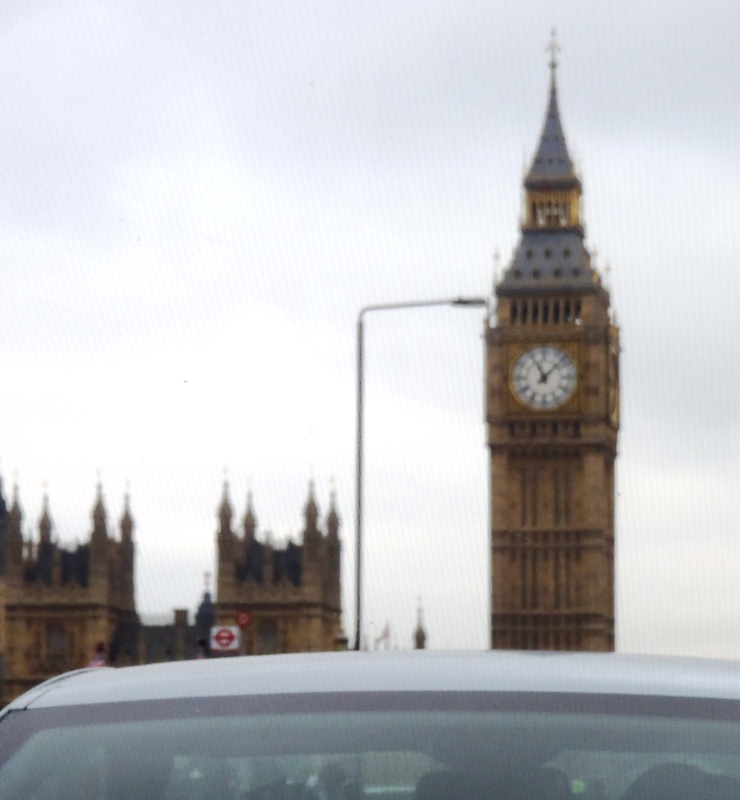 A quick snap of Big Ben as we zip by in a car. We were having too much fun for much sight seeing. So where did I leave us? Oh yes, on the narrow streets of London, a bit jet-lagged and head spinning with all the excitement. Let’s pick up there. On Friday morning, a car picked up me and Sam at the hotel, and we returned to the Headline publishing offices to sign more books. Once again, I was struck by the teamwork and enthusiasm of the place. I realized that while I was at home in Alaska, all these people had been working hard to help The Snow Child into the world. The two of us then set out in a car with the publicist Samantha and Ian, who also works for Headline publishing. As we rode through London, Sam and I asked about this sight or that. Our local friends kept us entertained the entire way. They didn’t always know the answers to our questions, but to keep things lively, they would quickly point out where someone was once hung or note the barbed wire fencing around the palace. Our final destination — the lovely bookstore Dulwich Books. The owner had delicious homemade eccles cakes and tea. I signed books and visited with the staff and customers. It reminded me so much of Fireside Books, I felt entirely at home. But alas, I couldn’t stay long. 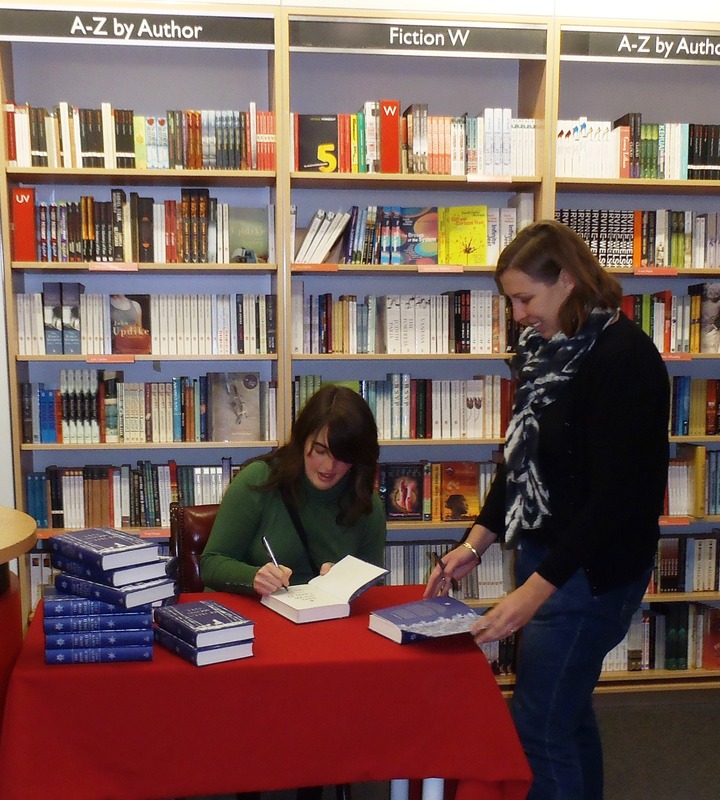 Signing books with Lisa at Foyles in London. But the next stop was just as delightful: Foyles bookstore on Charing Cross Road. This is a huge, impressive bookstore, with multiple floors. Without my guide, Lisa, I never would have found my way from the medical section, with its skeletons and stethoscopes, to the poetry shelves. I was like a kid in a candy store, and they had to drag me away from all the books. The four of us — Samantha, Ian, Sam and I — then headed to have lunch with David and Pavla of Goldsboro Books along with my editor Mary-Anne and Brid of Headline publishing. I’m pretty sure the meal was delicious, but I can’t recall the details because I was enthralled with asking questions of David — which software works best for bookstore inventory, how do you tell a forged autograph, which first editions are most prized. 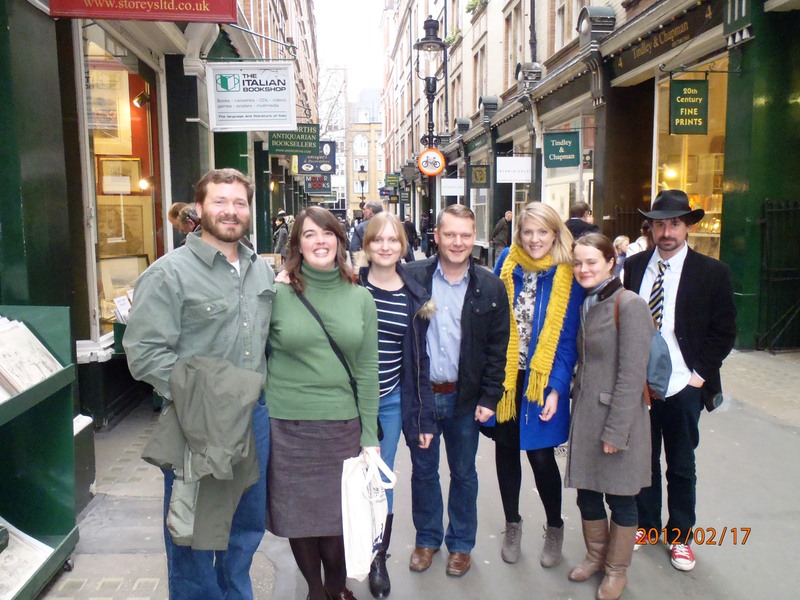 Diagon Alley from left: Sam, me, publicist Samantha, David of Goldsboro Books, and of Headline publishing Brid, Mary-Anne and Ian. One of the pinnacles of our adventure came next, though. As we all walked to Goldsboro Books, Sam and I craning our necks to take in the beautiful old buildings and red double-decker buses, we learned that the bookshop is located on Diagon Alley. Yes, that Diagon Alley. I may be 39, but I’m just as avid of a Harry Potter fan as the next little wizard. We started snapping photos. And then we were told that the window in Goldsboro Books itself was used in one of my favorite films, Miss Potter, where Beatrix Potter goes to first see her little books in a shop window. I admit it. I signed the stock as quickly as I could, because I wanted a chance to look around the shop, which specializes in signed first editions, and mostly novels. I was giddy with excitement, and tried to remember the weight limits on luggage as I made my pile at the counter. One of the sadder moments of the trip came next. In the Tube, the underground transportation in London, I had to bid goodbye to Mary-Anne Harrington, my lovely editor. I had so enjoyed her quiet humor and kindness, and was dismayed to know I wouldn’t see her again on the trip. No time for sniffles, though — we had a plane to catch. But to give you a sense of just how manic this adventure was, in the London airport as we prepared to go through security, Samantha handed me her phone. It was a research interview with a BBC radio show. So in my next letter, we’re off to Glasgow, Scotland! This is like reading the best ever travel book and I have to ply you with questions when I see you again! Looking forward to the Scotland part of your tale, my Dad’s old stomping grounds. Wow, what fun! Thank you for taking us on a short tour of London and their bookstores. They sound wonderful. I would’ve had the same problem trying to figure out how many books I could pack home. This was a London I did not see and am now reliving my time there through you! I cannot wait to see all the pictures.